Awhile back I received a sample of "Cocoa Wildcrafted Volcanic Pili Nuts by Stephen James Organics" from Barefoot Provisions. I had heard of Pili nuts while speaking with Barefoot Provisions co-founder Hilary Bromberg (you can listen to my Paleo Magazine Radio interview with Hilary by clicking the link at the bottom of this post) and when she described them as "freeze dried pillows of sweet creamy butter," I knew I had to try them for myself. Before I tell you what they are like, I want start by telling you what exactly a Pili nut is. Because, if you are like me, you have never heard of them before. "Canarium ovatum, commonly known as pili (/piːliː/ pee-lee), is a species of tropical tree belonging to the genus Canarium. It is one of approximately 600 species in the family Burseraceae. Pili are native to maritime Southeast Asia, Papua New Guinea, and Northern Australia. They are commercially cultivated in the Philippines for their edible nuts." "Nutritionally, the kernel is high in manganese, calcium, phosphorus, and potassium, and rich in fats and protein. It yields a light yellowish oil, mainly of glycerides of oleic (44.4 to 59.6%) and palmitic acids (32.6 to 38.2%)." As you probably know, oleic acids are the monounsaturated "good" fats typically found in plant foods such as olive oil, avocados, and sometimes in animal foods like bone marrow. The other form of fatty acids found in Pili, palmitic acid, often gets a bad rap for being a "bad" saturated fat. But, the research that supports this assertion relied upon studying the effects of pure palmitic acid preparations. Apparently, much of the "bad" effects are completely eliminated when palmitic acid is combined with oleic acid, as is the case with Pili, so there is likely no reason to be concerned here. Ok, so pili are exotic and nutritionally sound, but how do they taste? Can something taste magical? Are Pili trees grown on piles of unicorn manure? Harvested by leprechauns? Delivered by the Easter Bunny? First, the light dusting of coconut sugar and cocoa hits your tongue. As you bite down, the crisp and yielding Pili nut gives way to a buttery, melt in your mouth flavor that is rich but not overpowering. 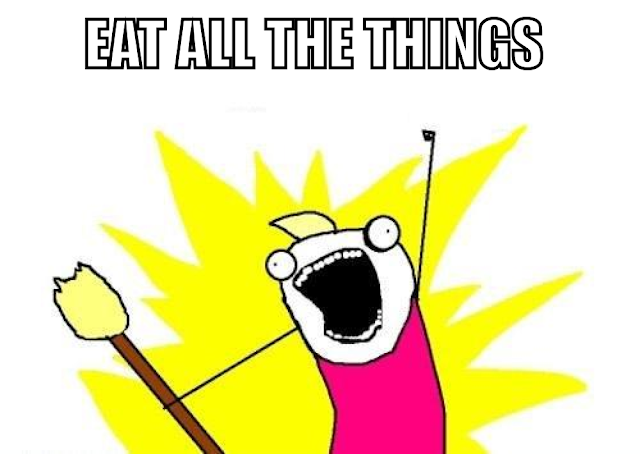 It took every ounce of my willpower to not "eat all the things." I tried the regular (ie. not dusted with cocoa and coconut sugar) Pili nuts as well and as far as I am concerned, these are a close second to the magical unicorn infused cocoa variety. Macadamia nuts better watch their back because there is a new kid in town and his name is Pili. I love the concept of this. This adds a like kick to the pili nuts. I usually sprinkle a little added flavor to my nuts but I haven't tried cocoa yet.